If you wake up in the middle of the night to your roof leaking into your living room, you can call the water damage North Brunswick agents at 911 Restoration of New Jersey and we will be at your aid within 45 minutes. The North Brunswick offices stay open 24/7/365, because we want the community to know they can rely on us around the clock. We understand how crucial it is for water to be removed from the surfaces in the home as soon as possible, and with all of our experience in the field, the North Brunswick flood cleanup professionals know exactly how to do just that. 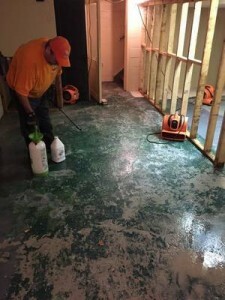 Making you feel taken care of during the water damage restoration process is just as important to us as the actual renovation work, so call our North Brunswick water cleanup crew today, and we will guide you through this whole process, one step at a time. One of the main reasons why we want to get to your home as soon as possible after water has damaged the premises is so we can prevent mold spores from infesting the property. Once the spores are watered, it only makes a mere 24 hours for them to start developing into an infestation. With the North Brunswick flood removal technicians on the job, you can be sure that we will thoroughly inspect the household, making great efforts to check the hardest to reach places. 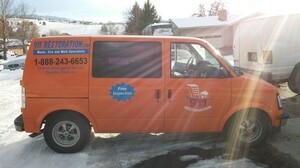 We want to get every trace of mold removed from the household in order to keep you and your family protected against the health risks that come with living with fungus. Inhaling mold spores regularly can cause respiratory issues and intense allergy-like symptoms, so call our IICRC certified North Brunswick fungus eradication techs today and we will get your home safe and sound. It is important for us to give you same day services for all water disasters. This is to both salvage your home and keep you safe. With us on the job, our North Brunswick water extraction specialists will assist you in getting your home back into pristine condition, as well as guiding you through the insurance process. Getting your insurance claim filed appropriately is important for you to get the proper coverage. You want you to get the financial aid you deserve, so by letting us file it for you, you will greatly increase your chances of receiving that assistance. Let us do all the work for you, and call the North Brunswick water emergency staff today. We can’t wait to give you a fresh start.